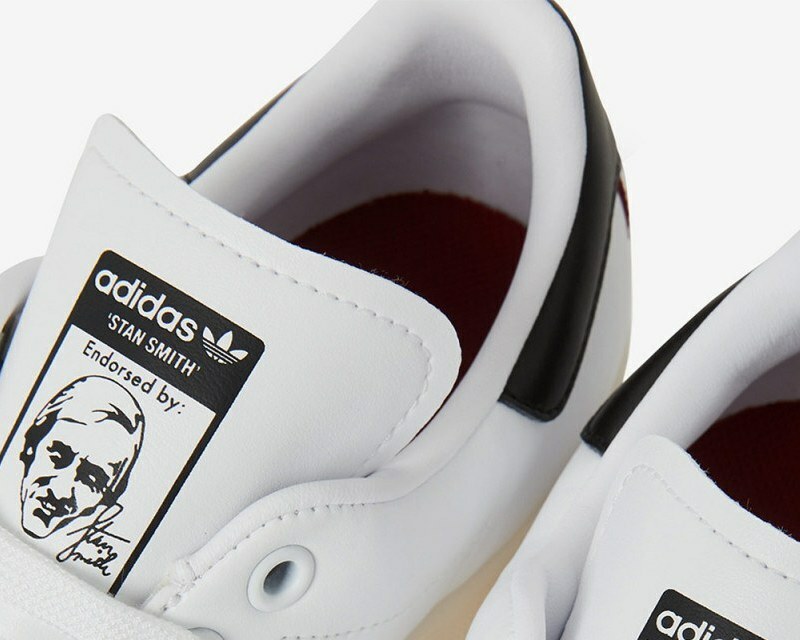 Stella McCartney has launched her own version of Stan Smith. The British designer who only uses animal-free materials designed a vegan model of the cult sneaker. ‘A few years ago I got a special pair of vegetarian Stan Smiths from my husband and Adidas. It immediately became clear to me that you did not actually see the difference between a real leather pair and a fake leather pair. I started thinking about how many animal lives could be saved if Stan Smith and Adidas used faux leather and non-animal glue,’ she told American Vogue. Shortly thereafter, McCartney proposed a collaboration with Adidas. ‘I’ve been working with Adidas for many years, so I thought it would be a great way to reach a really broad audience so everyone understands you do not need leather shoes or animal glues to make a cult product,’ she said of the collaboration. The ‘Stella Stan Smith’ is not very different from the classic pair but is fitted with iconic Stella McCartney features. The color green makes way for burgundy and navy on the heel, the Adidas signature 3-stripe is replaced with the lines of stars and the left tongue bears the McCartney logo. Each pair costs 235 pounds and comes in sizes for both men and women. The Stella Stan Smith will be available in stores on September 10th.